The scene depicts Angelica and Medoro, from Ludovico Ariosto’s epic poem Orlando Furioso, pledging their love to each other by carving their names into a tree. 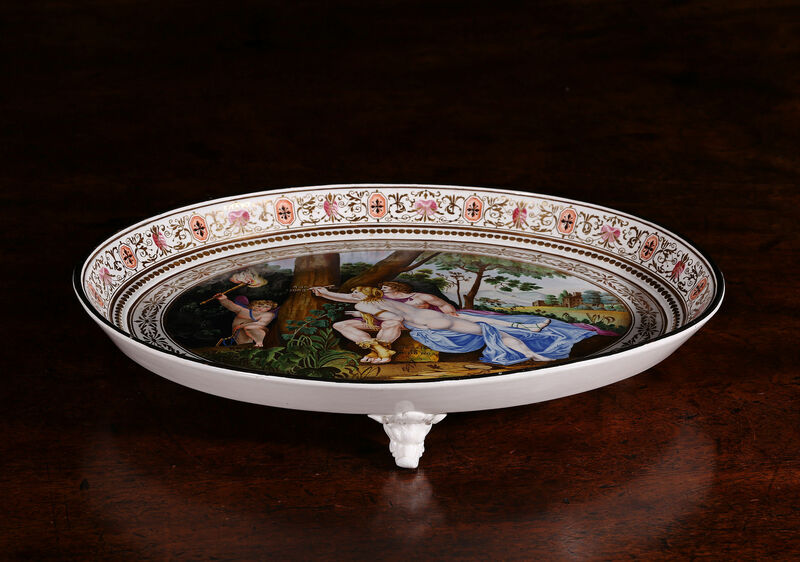 The border consists of three bands of gilded and enamelled neoclassical ornament. The tray supported on three feet formed as wild boar’s heads. The impressed mark of F D V over N, is for the Fabrica Del Vecchio, Napoli. In 1785 Nicola and Gennaro del Vecchio received a grant from King Ferdinand IV to start experimental production of creamware to compete with English imports. 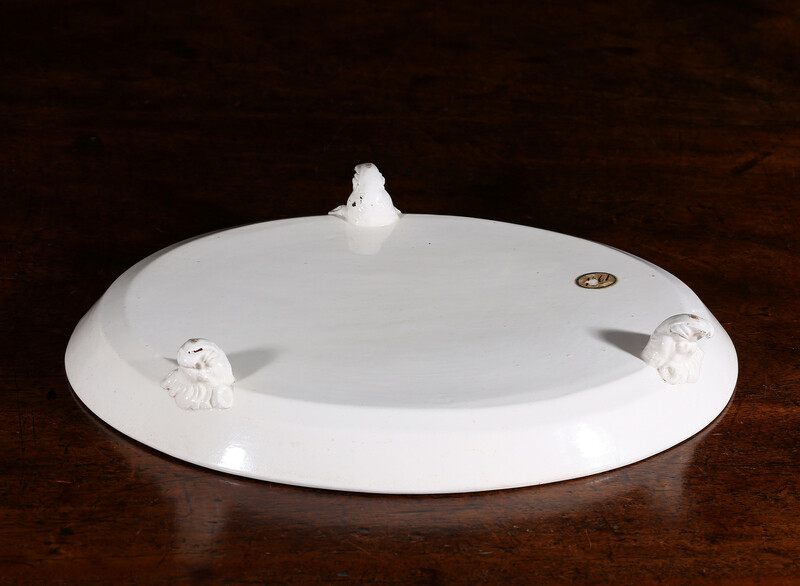 Along with the better known Gustiniani factory they produced some of the very finest and most richly decorated wares of this type. The central scene is taken from an engraving of around 1795 by Raffaello Morghen after a design by Teodoro Matteini. Raffaello Morghen was born in Naples and studied under Giovanni Volpato in Rome. 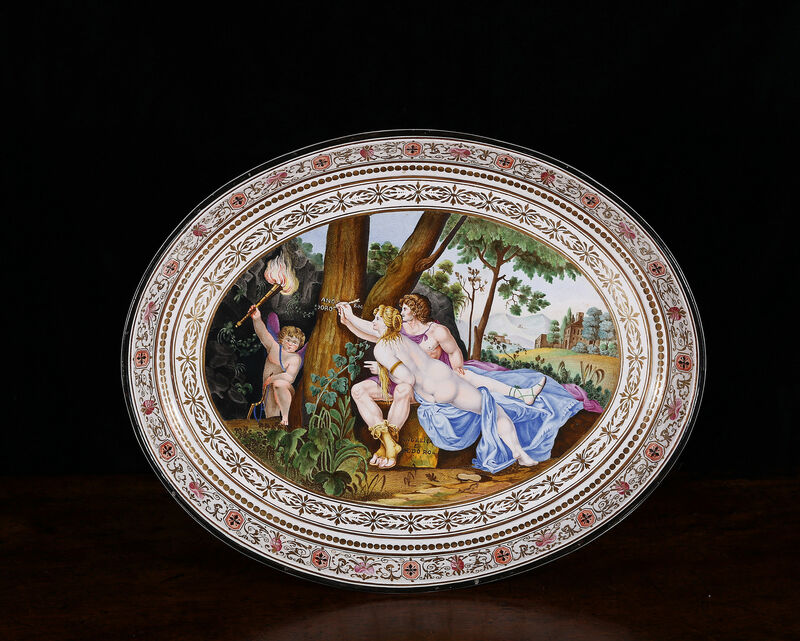 Literature – A del Vecchio plate from a private collection with the same central decoration is illustrated in La Terraglia Napoletana (1782-1860), by Guido Donatone, Naples (1991), pl. 7e.